At last you’ve reached kindergarten counting to 10! Great job counting from 1-9, now apply those skills to this worksheet, too. 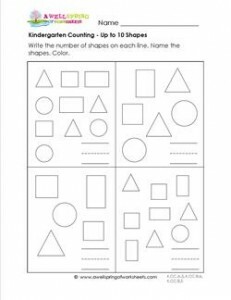 Please go to this page to see all the kindergarten counting shapes worksheets in this set.